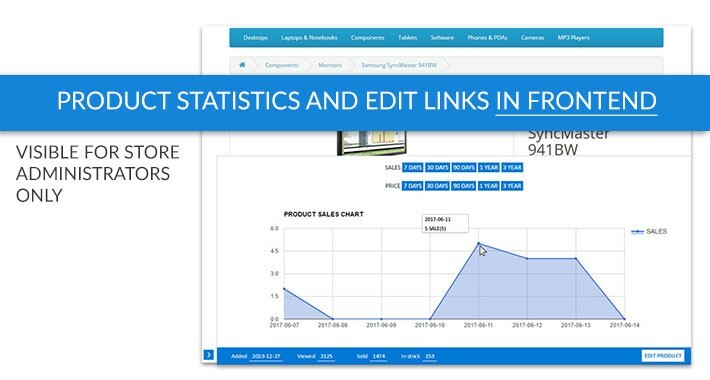 FrontEnd product statistics and edit link shows the most useful product, category and manufacturer page statistics and edit links while you browse your store as a customer. All this information is shown only to logged in e-shop admnistrators. 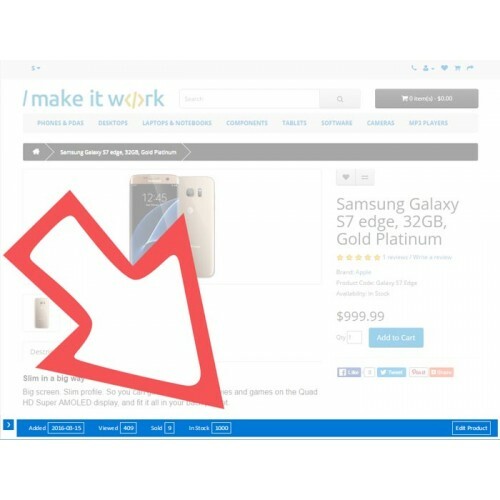 Extension also adds link to edit store's Information pages. All the information is shown in product/category/information/manufacturer pages (client side) at the bottom of the browser window (sticks to the bottom when you scroll) when you are logged in to e-shop admin side. It's just for administrators - e-shop visitors don't see this information.